Yes, it’s that time of the week again. 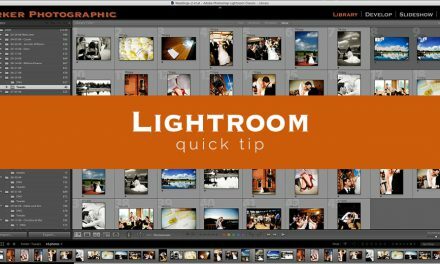 Time for #9 out of 10 things you should know about Lightroom. 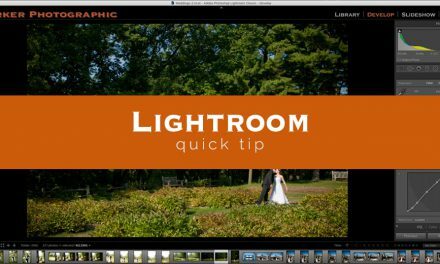 I’m talking about things you should know before you even open Lightroom! 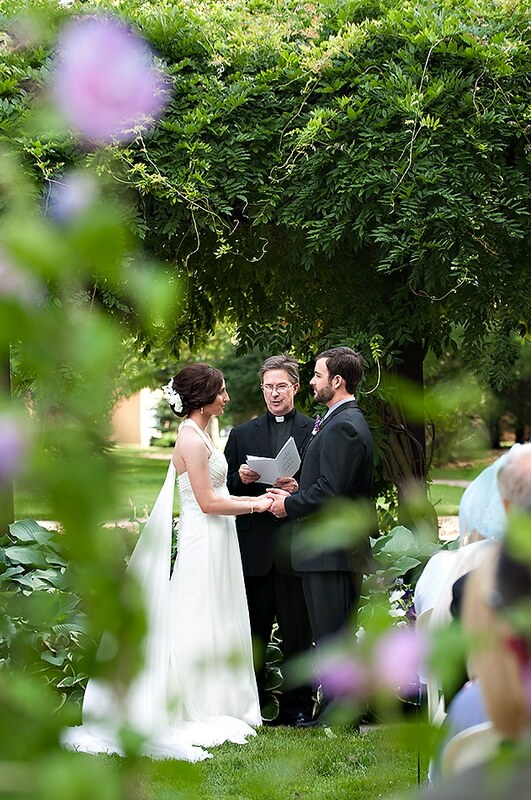 Lightroom is best known for its ability to help you edit your images. Yet, Lightroom is more powerful than that – which you may already know if you read the first 8. In fact, not knowing these 10 “things” can effect your editing productivity. Which brings us to number 9. Get this wrong and you’ve wasted all your time. Without accurate color, you mine as well just edit blindfolded. Color is a CRUCIAL part of your editing workflow. Imagine editing 100,567 photos (o.k, maybe over a couple of years) and you realize that your color settings are incorrect. Do I have to re-edit all 100,567 photos? Possibly. That’s up to you. Before we get into Lightroom, we have some color settings on your camera we need to discuss first. Although, this post couldn’t possibly cover every specific type of camera, let’s just keep it simple. Again, camera settings are beyond the scope of this post. For, now just stick with sRGB. We can change this once we are in Lightroom (providing you shoot in RAW and not JPG). Which is why we started with your camera first. 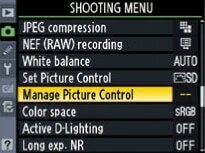 You should also set the Picture Control (as described, in the Menu, for Nikon users). Nikon users have; Standard, Neutral and Vivid. If you’re a Canon user, please provide your options in the comments (please and thank you). You may also have the option to customize the settings for your personal preference. Make your choices and save. Your monitor can bring your editing productivity to a halt! Let’s talk about what that could be and fix it before we even edit our first photo. Sorry, I know color is not a hot topic and I’ll try not to put you to sleep. Chances are, what you see on your monitor is not what you’re going to see when you make a print. 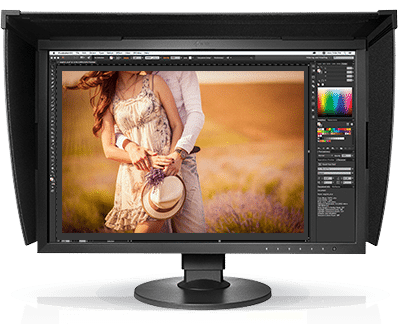 There are a ton of factors that can affect what you see; the age of your monitor, type of monitor, ambient light, color profile and more. If your monitor is not in sync (not the band – ha ha!) with your output device, then you’re wasting your time editing! That is why “Color” is crucial. Natural light & at what time of day? Is it morning, afternoon or night? Is it cloudy and how much? Is it partly cloudy, thunderstorm or is it sunny? What type of artificial light is in your office? Fluorescent, halogen, incandescent or a combination of more than one? Each type of light has its own color temperature. Even the time of year (and time of day) will have different quality of light and a different temperature. So, why is this important? Well, that natural or artificial light is being cast onto your monitor. Which is going to affect what you see. Have you ever edited a photo, then you come back to it the next day or following month and wonder what you were thinking? It could be the light was different from one day to the next. Even the intensity of the light could make you see something different; a bright amount of light (like the sun), on your monitor, will show shadow and highlight details differently than if you edited in the dark. Choose a different monitor with a “hood”. 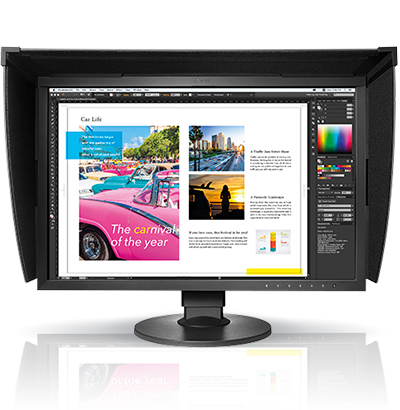 My personal choice – Eizo. If that’s out of your price range, then consider changing your artificial light to daylight balanced bulbs. Oh, and make sure to close the shutters too. Another option is to do visual checks with actual printed photos and compare to your monitor. If the print looks good, then you’re all set. Just make sure the ambient light is consistent at all times of day. 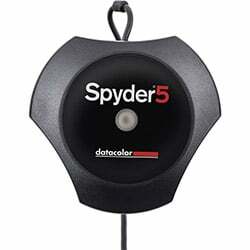 Don’t forget the most important step – color calibrate your monitor! Doing this will ensure that your monitor is displaying the proper color, contrast and brightness. Although you can eye ball it, with the preference settings on your monitor, it’s best to purchase a device for precise and accurate results. My favorite is… the Spyder. This gets a bit tricky. The amount of info, related to this topic, is beyond the scope of this post. Just know, that depending on your input or output device, you’ll need to set up a color profile for it. You can save your ICC profile for each type of output device you may use. For example; different pro labs, home printer, color press, etc.. (I go into more detail here). Go to Profile and click on the word next to it – you’ll get a drop-down menu of different profiles (if you shot in RAW). 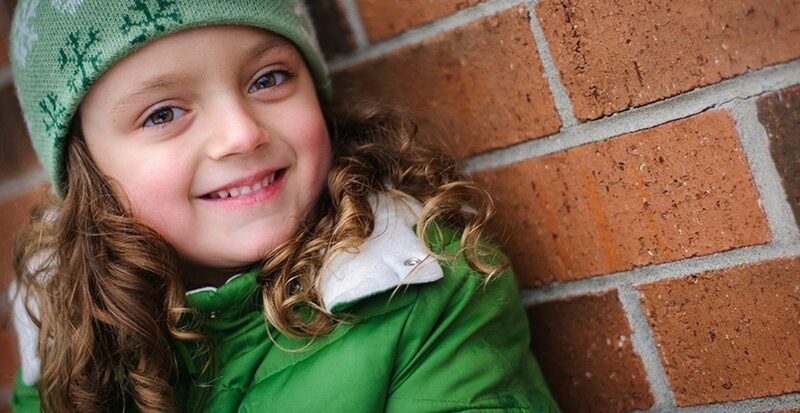 These profiles are dependent on the type of camera you’re using. By default, Adobe Standard is selected and this is why your photos look different in Lightroom. These profiles render color and the tone curve for your image based on the profile selected. Therefore, each profile will render your image differently. Try it out… Select each of the different profiles to see the new rendition. For me, I use the Camera Portrait (Nikon) as my profile of choice. 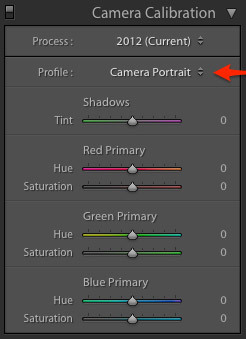 Every time I import new photos (from that specific camera – Lightroom knows the serial number) that camera profile is selected by default. This will not update your entire catalog of images. 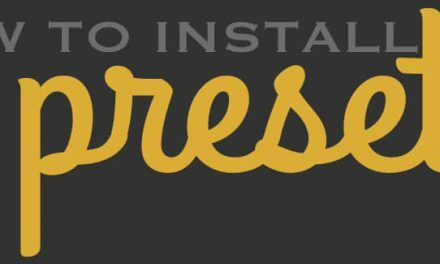 You’ll need to create a Lightroom preset and apply to all photos (if you want). Remember, every time you input new images, that profile will be applied as the default. Have more than one camera? You’ll need to set that profile, as the default, for every camera. They are there to allow you to customize and create your own camera profile. Does a specific camera over saturate a specific color? This sometimes happens from one sensor to another (maybe you got a bad batch of sensors). Or maybe you want a more vivid and over-saturated blue color? Adjust and save as your default. Hope you enjoyed todays edition on Color! This post doesn’t even come close to touching the surface on color. No worries though. 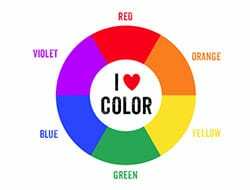 This post is a good starting point and your journey on color is one you’ll learn more of as you begin to hone your craft.